Rekha Sharma who has been recently in controversies after suggesting the termination of confessions in churches is now appointed as the new chairperson of National Commission for Women. Rekha Sharma is a 54-year-old single lady and was a member of the commission. She belongs to Haryana and was holding the additional charge of being a chairperson after Lalitha Kumaramanglam resigned the office in September in the year 2017. Rekha Sharma worked really hard to earn the post of the Chairperson. During her time of being the member of the Nationa Commission, Ms. Rekha Sharma used to visit and inquire the women staying or admitted in the number of psychiatrist institutions, custodial homes present in the entire country. This was confirmed by the National Commission of Women. 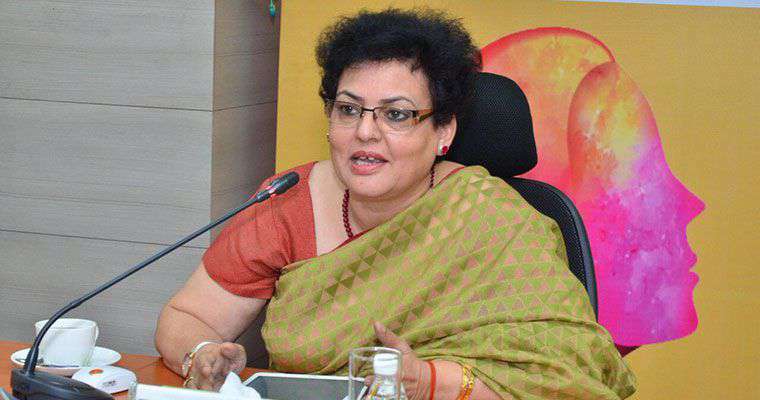 After being appointed as the new chairperson of the National Commission for women, Rekha Sharma said in an interview, “It is with a great honor, respect and a sense of duty that I take up the charge of Chairperson, National Commission for Women”. “The National Commission for Women will stay true to its mission of upholding women’s constitutional and legal rights and facilitating redressal of their grievances,” she continued to say. Ms. Sharma has recently been in a limelight after creating controversies about abolishing the ritual of performing the ‘Confession’ practices at the churches. According to her, this practice could lead to the blackmailing of women. Recently, one such case was being observed in Kerela and that brought light to the issue. The government has completely cut the strings with Rekha Sharma on this moment. The government said that is not the part of this and they have nothing to do with the practice. Along with Junior Union Minister, Alphons Kannathanam who belongs to Kerela, the government said, “Centre has no connection with the stand taken by Sharma”. अभिनंदन तो वापिस आ गए, लेकिन 1971 की जंग के बाद से पाकिस्तान की जेलों में हैं 54 सैनिक.